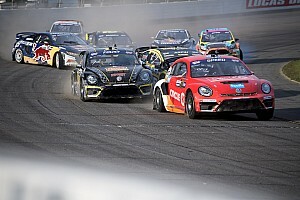 Volkswagen Andretti Rallycross driver Tanner Foust regained the form that took him to early season dominance and won Saturday's Red Bull Global Rallycross Seattle final at Evergreen Speedway. 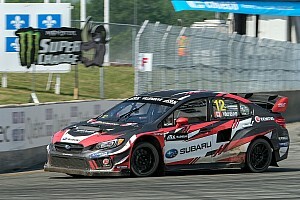 It was Foust's fourth victory of the 2016 season, and allowed him to regain the championship lead from teammate Scott Speed heading into the season-ending Los Angeles doubleheader. Foust qualified third on Friday, but managed to get past Brian Deegan to win his heat and never looked back all weekend long. A wet and wild Saturday saw the most experienced teams and drivers rise to the top, as Honda Red Bull Olsbergs MSE drivers Sebastian Eriksson and Joni Wiman climbed to second and third early in the main event and held on for 10 laps each. 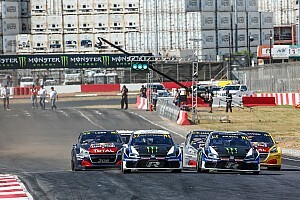 Their double podium represented the first such occurrence for Honda since joining Red Bull GRC. In GRC Lites, Conner Martell gave Washington-based DirtFish Motorsports a hometown victory after qualifying on the pole on Friday. After a mid-race incident ended the podium hopes of Christian Brooks, Travis PeCoy, and Cabot Bigham, Olsbergs MSE X Forces teammates Oliver Eriksson and Miki Weckstrom settled into second and third. Eriksson now holds the Lites championship lead with two rounds remaining. "It's a pleasure to be back here, the fans here are the best," Foust said. "Really across the country, the fans here are the best. It's so awesome to see so many familiar faces over the last decade of racing. The track was gnarly. The mud kind of challenging. I never felt like I ever had the track dialed in. The track was different every single time you were out there. Sometimes you would even see the ruts and you'd hit them and it would just pull a tire off. They would literally just pull the tires right off the rim. So that was a challenge. The NASCAR track was pretty fun. "All the team's had a huge battle. Volkswagen Andretti pulled it off and it was spectacular. Thanks to Kyle, Russ, Pricey, Graham and Clark. We have an amazing group of guys over there so congrats to them." "We had a right differential get away from us after qualifying and we really suffered from that until the Last Chance Qualifier," Speed said. "The speed just wasn't there. Once the crew was able to put a new one in the car we had the speed again. The speed is the reason we were able to go from the back to the front in the final. "It was difficult to go through the day not knowing what was wrong and why we didn't have the pace. So I was happy we found and fixed the problem so we could come back in the final. That's all thanks to the hard work the guys put in, in under 30-minutes. So thanks to them and to Oberto Beef Jerky and Circle K Stores for their support this weekend." Red Bull Global Rallycross Seattle will be shown on Sunday, September 18 at 1:30PM ET on NBC and at 2PM ET on Red Bull TV. 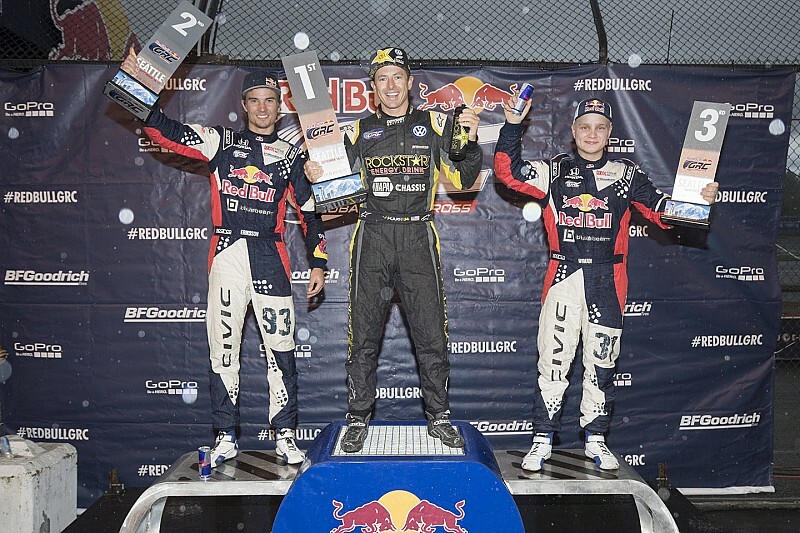 The 2016 season concludes on October 8-9 with Red Bull GRC Los Angeles presented by Honda.